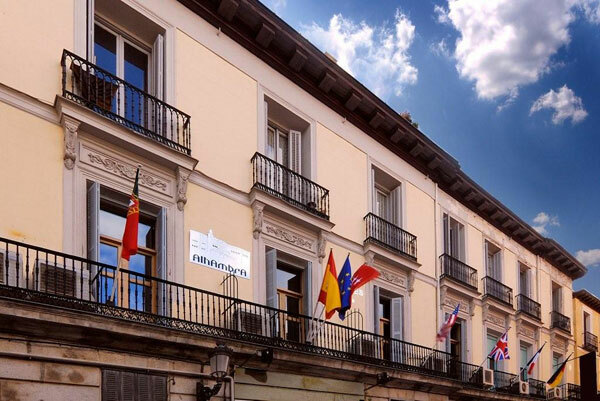 Enjoy your stay in the city by staying on the second floor of the palace where the French empress Eugénie de Montijo lived during her childhood. Located in the famous and emblematic Puerta del Sol, very close to Plaza Mayor, you can find Madrid’s cultural, gastronomic and sightseeing offer within close reach. Of recent inauguration, Hostal Alhambra Suites*** gathers the essence of the old palace with a modern twist, all in perfect harmony. Its rooms enjoy an elegant and warm decoration down to the very last detail, with high ceilings from its time and completely soundproof.